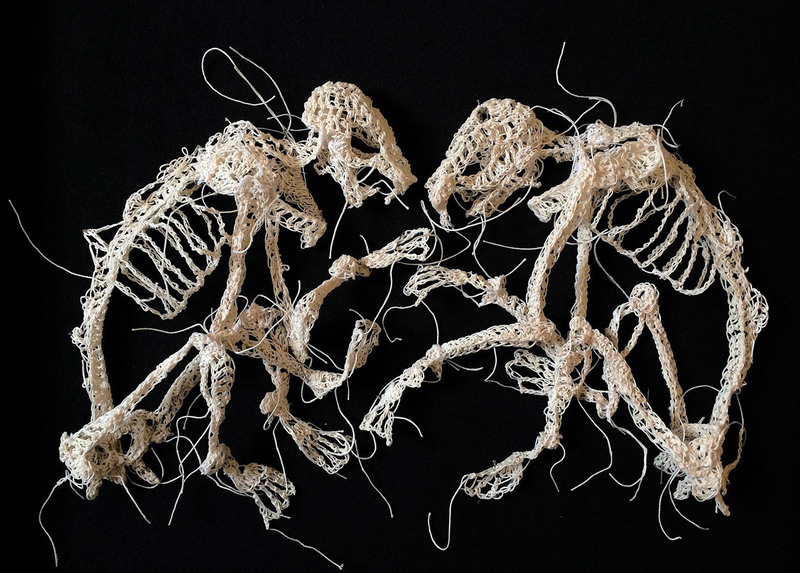 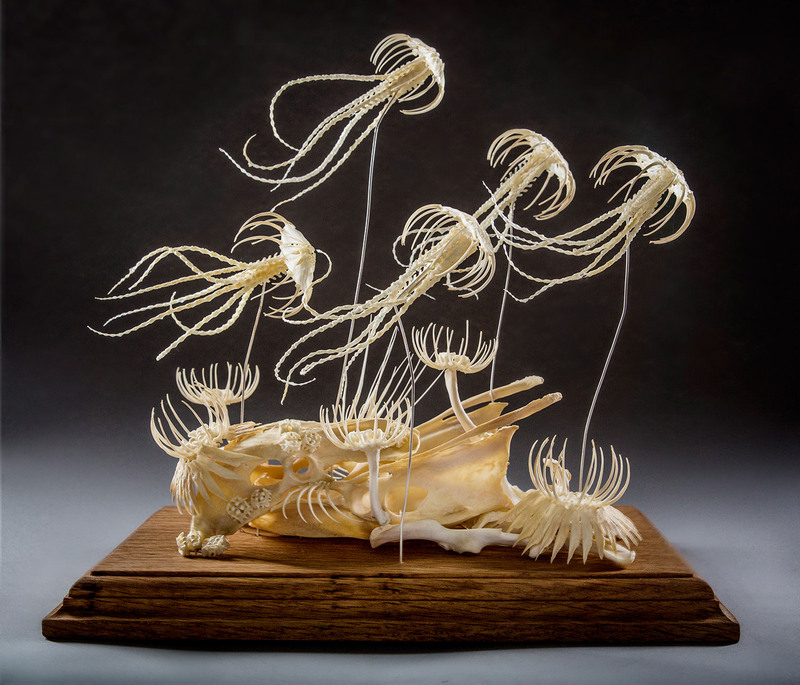 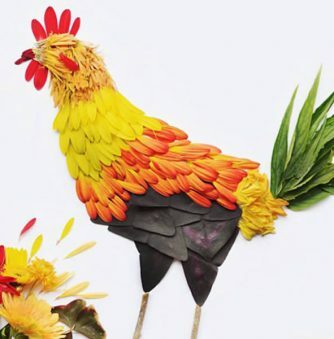 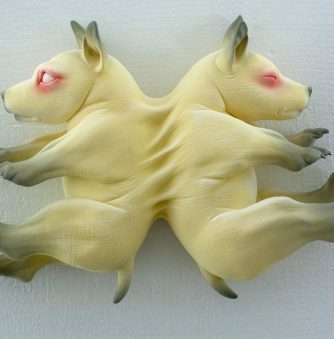 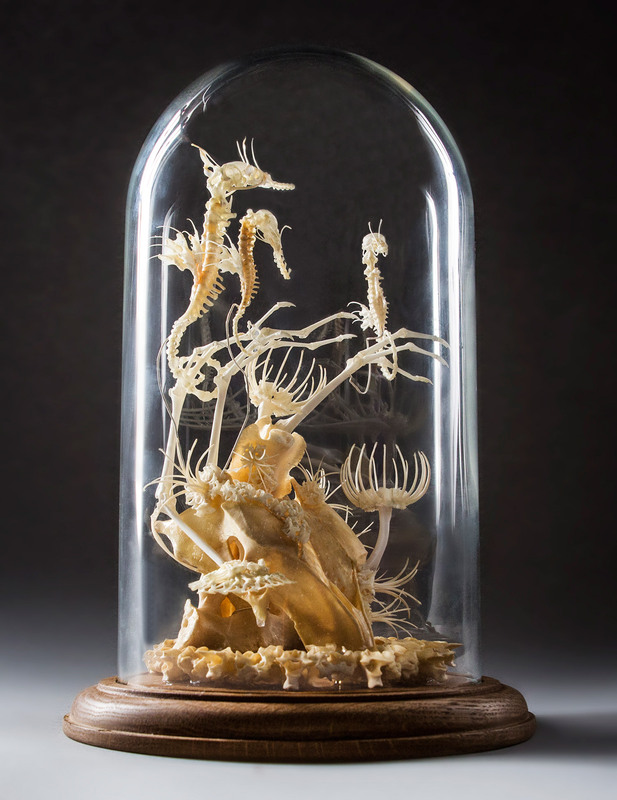 Melbourne-based artist Gerard Geer resurrects road kill and other naturally deceased Australian animals by transforming their remains into beautiful skeletal articulations. 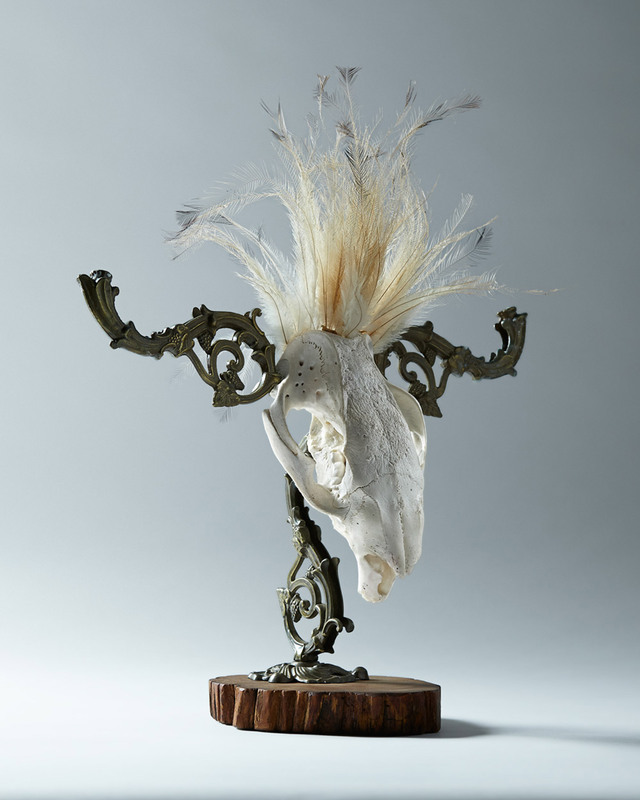 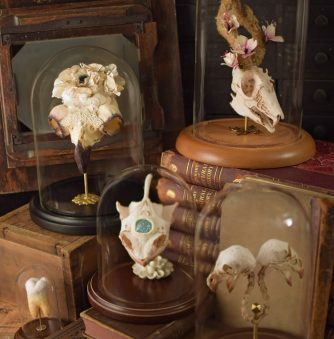 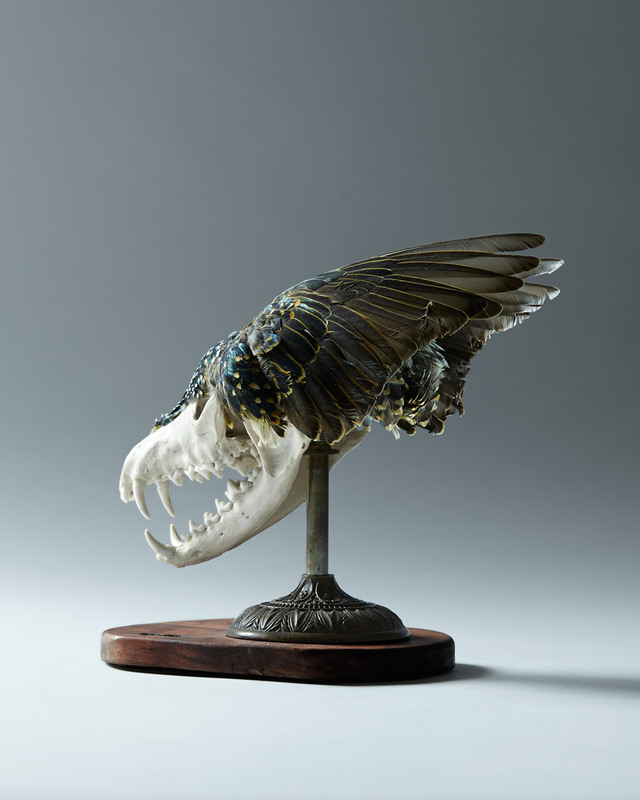 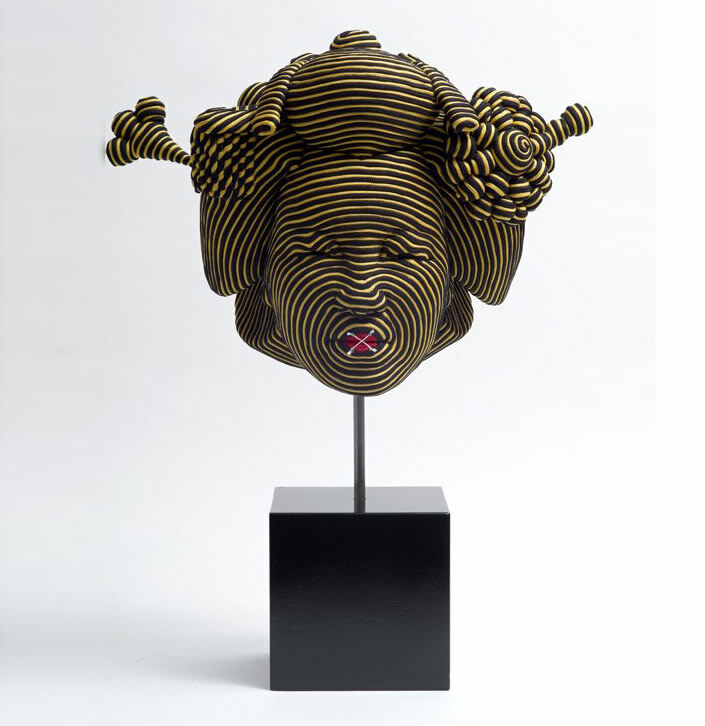 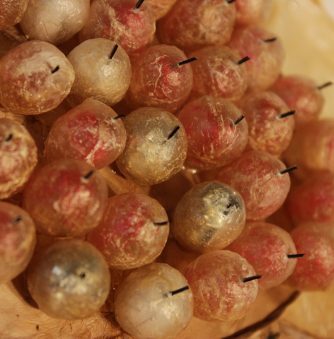 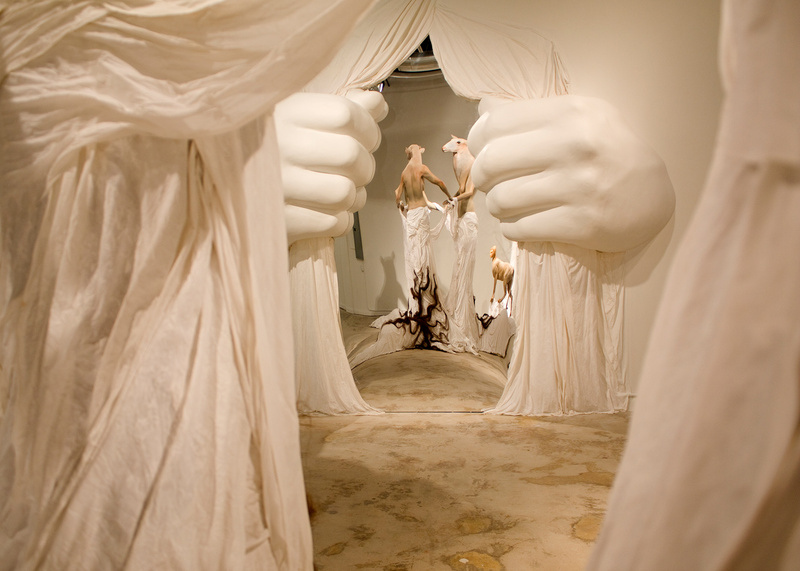 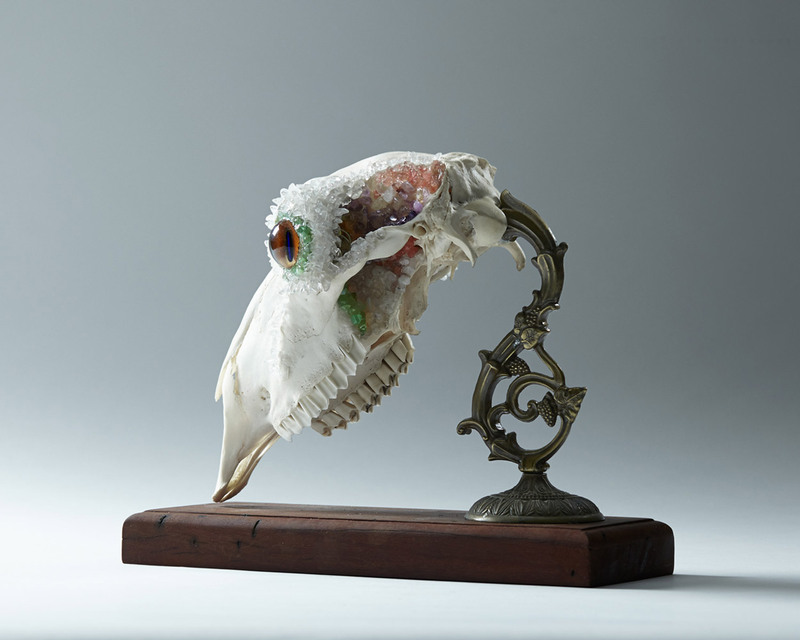 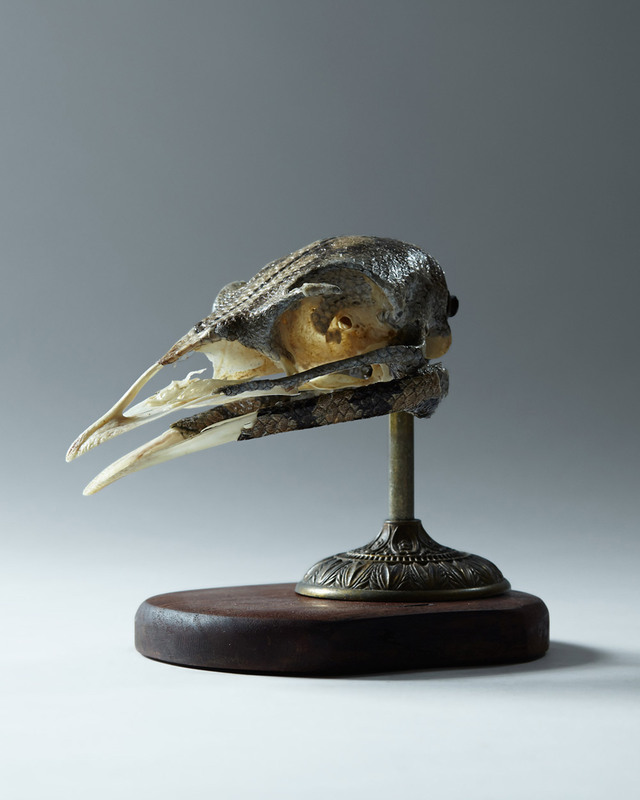 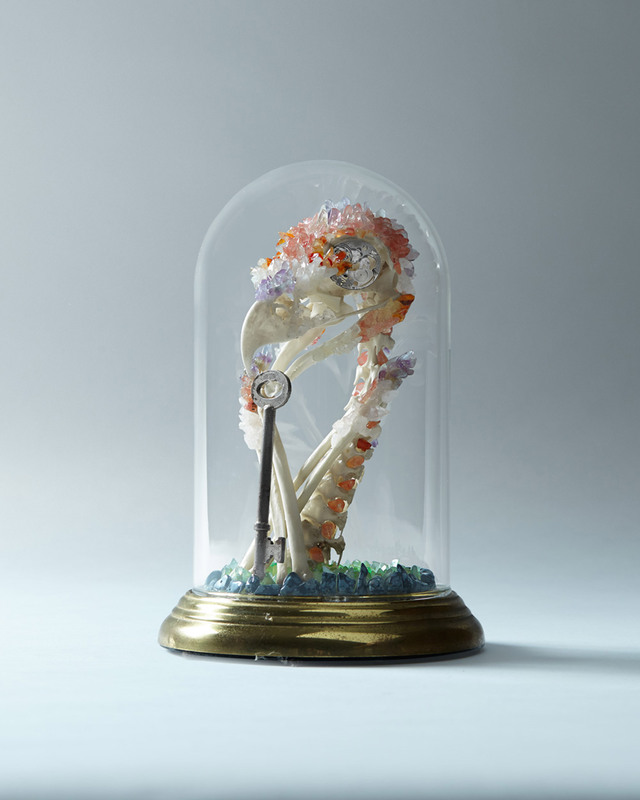 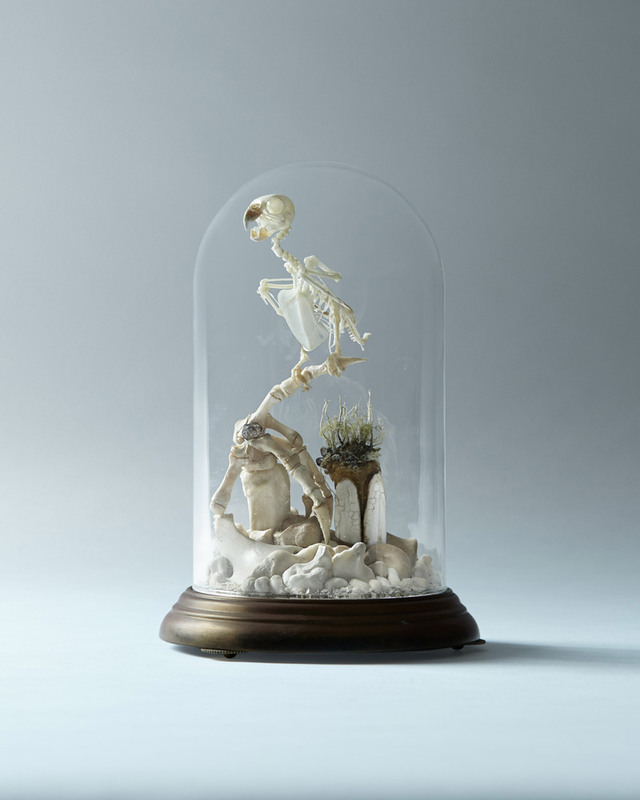 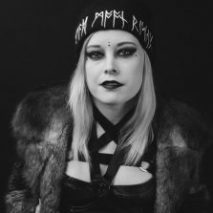 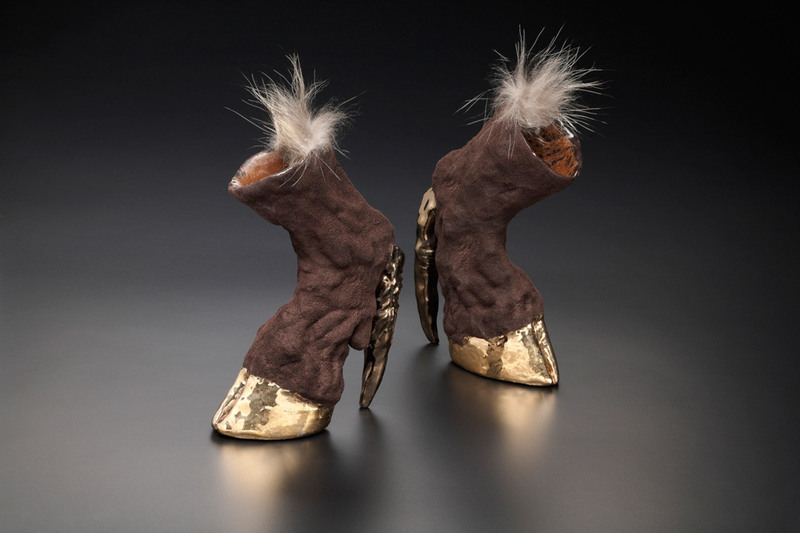 Among his creations are colorful crystallized skulls, hybridized masks, taxidermy sculptures, and bell jar curiosities. 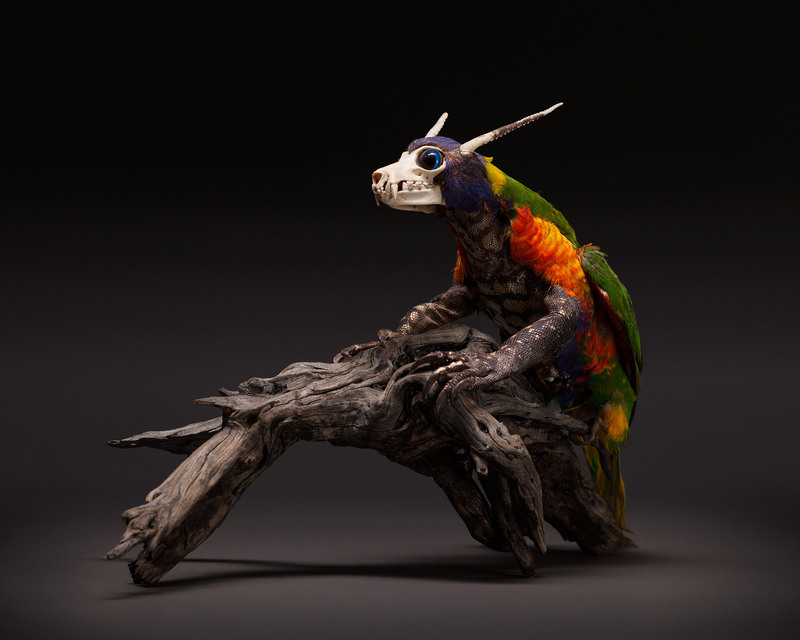 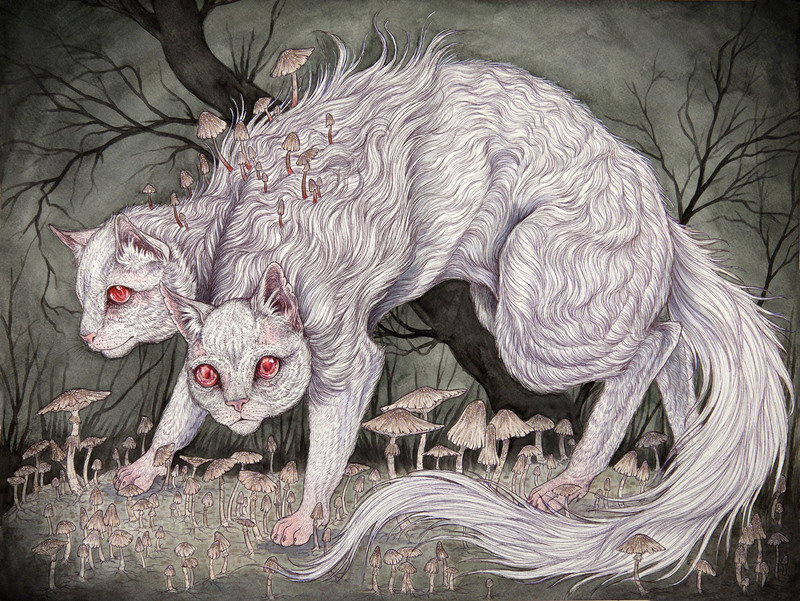 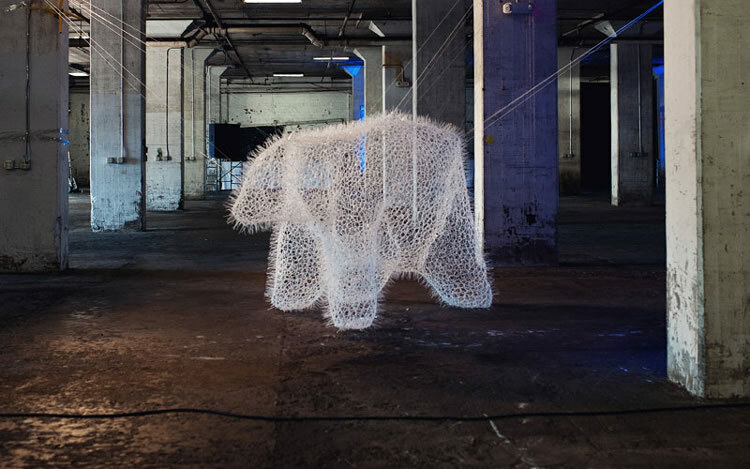 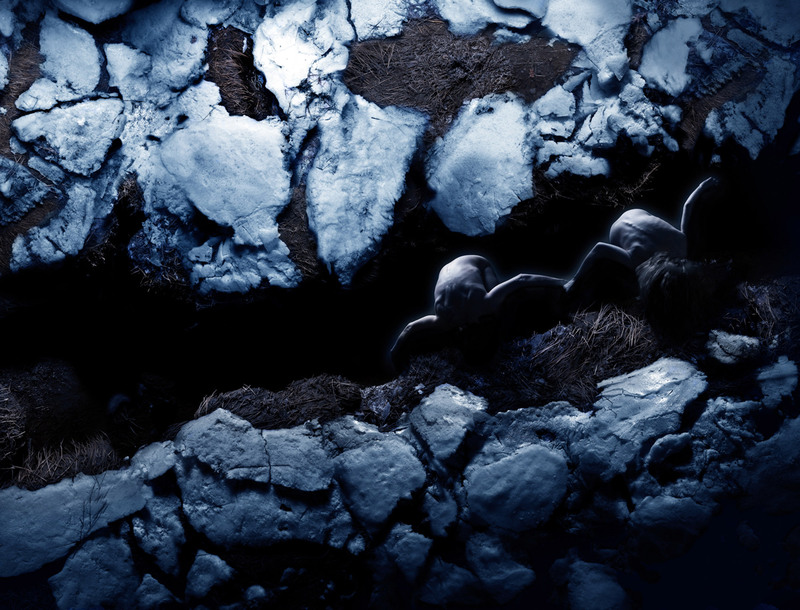 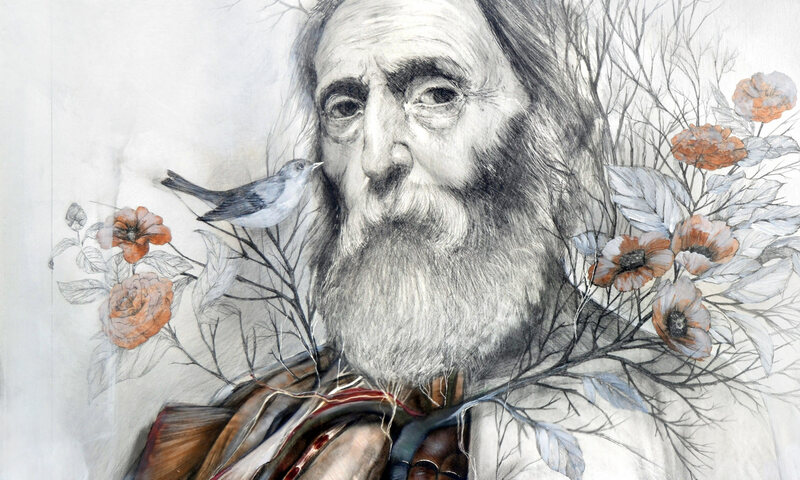 Through a sensitive and creative engagement with his materials, Geer offers us a view into a world where magical creatures roam, channeling their mystery and magic from beyond death.